What is a Brown Rat? 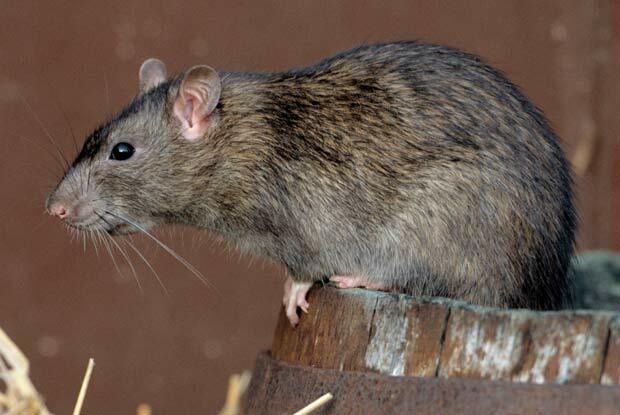 The brown rat (Rattus norvegicus) is one of the best-known and most common rats. One of the largest muroids, it is a brown or grey rodent with a body up to 10 in long, and a similar tail length; the male weighs on average 12 oz and the female 9 oz. Thought to have originated in northern China, this rodent has now spread to all continents, except Antarctica, and is the dominant rat in Europe and much of North America—making it the most prevalent mammal on the planet after humans. Indeed, with rare exceptions the Norway rat lives wherever humans live, particularly in urban areas. Selective breeding of the brown rat has produced the laboratory rat, an important model organism in biological research, as well as pet rats. The Brown Rat is usually active at night and is a good swimmer, both on the surface and underwater, but unlike the related Black rat (Rattus rattus) they are poor climbers. Brown rats dig well, and often excavate extensive burrow systems. A 2007 study found brown rats to possess metacognition (knowledge and regulation of cognition), a mental ability previously only found in humans and some primates. Rats can chew through wiring, causing fires. Brown rats eat and contaminate food and damage properties by gnawing and burrowing. They spread diseases that affect people and pets. Give us a call today at 503.720.8559 to learn more about Brown Rats or to schedule an inspection!